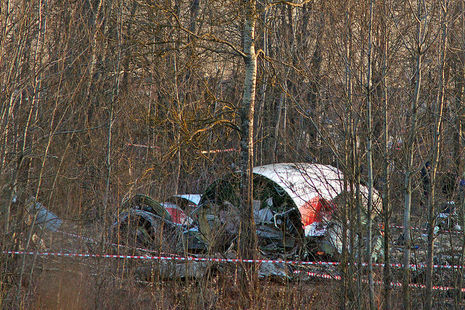 Crash of Polish Air Force Tu-154M Kills 96 Including Polish President Lech Kaczyński. A plane carrying the Polish president and dozens of the country’s top political and military leaders to the site of a Soviet massacre of Polish officers in World War II crashed in western Russia on Saturday, killing everyone on board. President Lech Kaczynski’s plane tried to land in a thick fog, missing the runway and snagging treetops about half a mile from the airport in Smolensk, scattering chunks of fuselage across a bare forest. The crash came as a stunning blow to Poland, wiping out a large portion of the country’s leadership in one fiery explosion. And in a chilling twist, it happened at the moment that Russia and Poland were beginning to come to terms with the killing of more than 20,000 members of Poland’s elite officer corps in the same place 70 years ago. 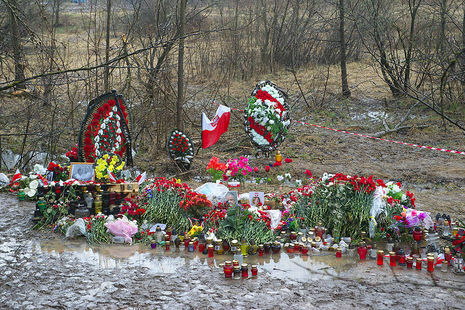 The 2010 Polish Air Force Tu-154 crash occurred on 10 April 2010, when a Tupolev Tu-154M aircraft of the Polish Air Force crashed near the city of Smolensk, Russia, killing all 96 people on board. 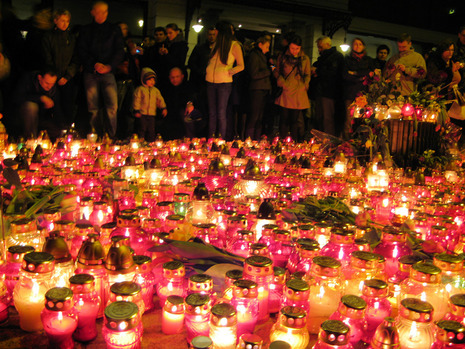 These included the Polish president Lech Kaczyński and his wife, the chief of the Polish General Staff and other senior Polish military officers, the president of the National Bank of Poland, Poland's deputy foreign minister, Polish government officials, 12 members of the Polish parliament, senior members of the Polish clergy, and relatives of victims of the Katyn massacre. They were en route from Warsaw to attend an event marking the 70th anniversary of the Katyn massacre; the site of the Katyn massacre being approximately 19 kilometres (12 mi) west of Smolensk. The cause of the crash is under investigation. 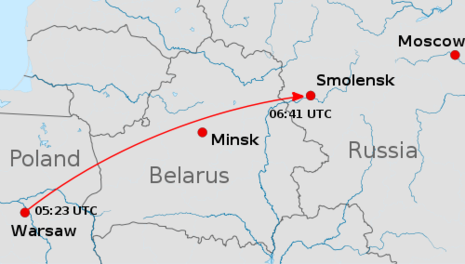 According to preliminary reports, the pilot attempted to land at Smolensk North Airport, a former military airbase, in thick fog that reduced visibility to about 500 metres (1,600 ft). The aircraft was too low as it approached the runway. Striking trees in the fog, it rolled upside down, impacted the ground, broke apart, and eventually came to rest 200 metres (660 ft) short of the runway in a wooded area. On 1 June 2010, the Polish Prime Minister released a full transcript of the last 39 minutes of the cockpit voice recording. 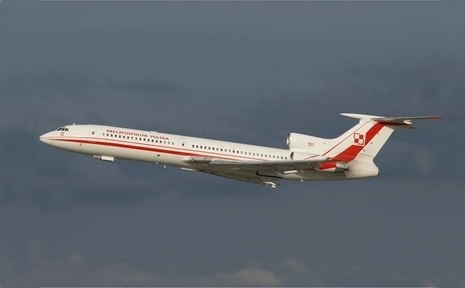 All 96 people on board have died after a Polish presidential TU-154 plane crashed near an airport outside Smolensk in western Russia. 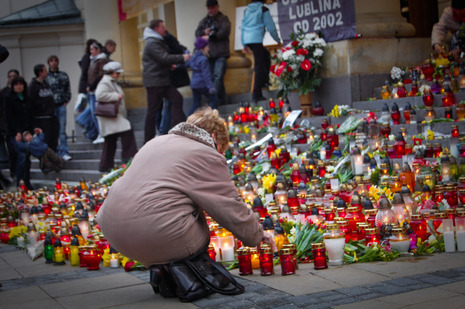 The Polish president and his wife were among the killed. Polish President Lech Kaczynski was heading for a personal visit to the Katyn memorial site where Polish officers were murdered during World War II. Also, among the passengers aboard the doomed airplane were the last president of the anti-Communist Polish government-in-exile in London; Ryszard Kaczorowski, head of the National Security Office; Aleksander Szczyglo; presidential aide Pawel Wypych; presidential aide Mariusz Handzlik; Deputy Parliament Speaker Jerzy Szmajdzinski; Deputy Foreign Minister Andrzej Kremer; head of the Army Chief of Staff, Gen. Franciszek Gagor; head of the National Bank of Poland, Slawomir Skrzypek; and Janusz Kurtyka, head of the National Remembrance Institute. Non-crew members were in the cockpit of a plane that crashed killing the Polish president and more than 90 others, an investigation has found. The question of whether the crew were pressured to land remains unanswered, an official said. One of those in the cockpit has been identified, but the BBC has learned it was not the president. 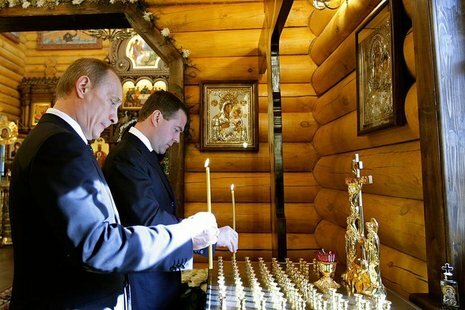 The plane crashed as it tried to land at Smolensk in western Russia on 10 April, killing dozens of senior Poles. The investigation, which was releasing its preliminary findings of the investigation, confirmed crew were repeatedly warned about poor weather. Alexei Morozov, head of the technical commission examining the crash, said air traffic controllers had warned twice that visibility was 400m (1,312ft) and that "there were no conditions for landing".